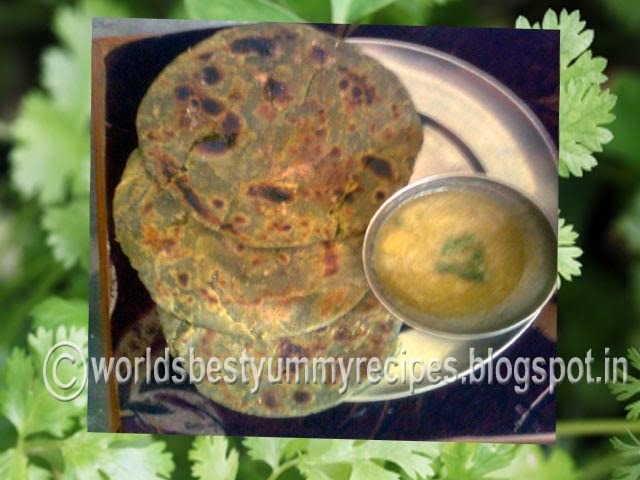 This Lachha Paratha is totally different kind of bread, I have made this with coriander leaves,Please make it and say whether you like it or not .Lachha paratha is a kind of bread of India. It is rich and flavorful, It has also lots of varieties, I had made greenish Lachha paratha, you can make plain lachha paratha i.e. without using coriander mixture which I have mixed while making dough, Lachha paratha looks good and flaky in nature.